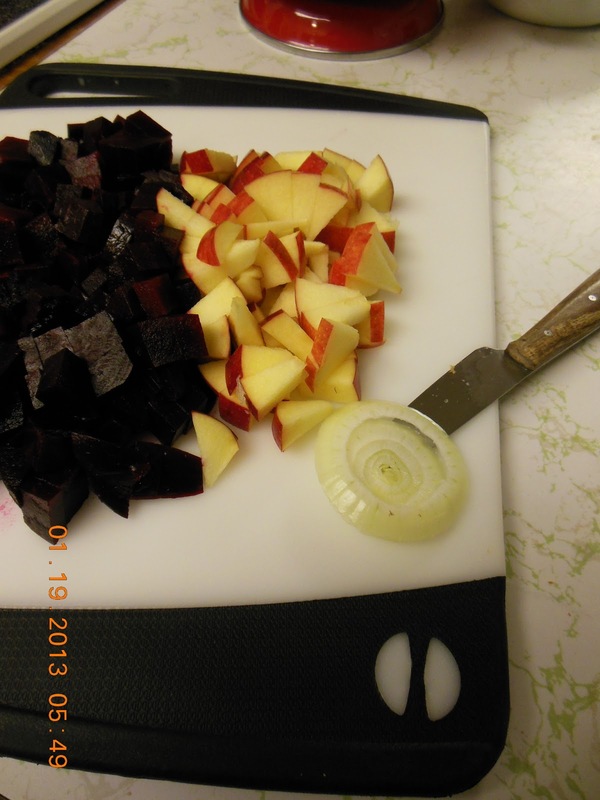 The wonderful thing about beets is the glorious color, the problem with beets IS all that color. Everything, repeat everything will be beet color. But please, don't let that stop you from eating and enjoying beets. This apple beet salad is a fine example of the glorious color and the problem with all that color. But the taste is wonderful! adapted from: a magazine article - source not remembered, but thanked. 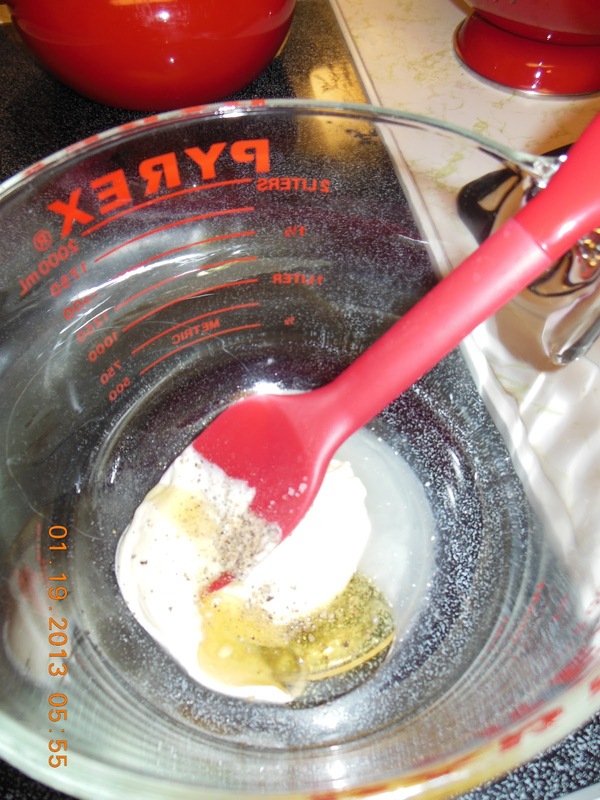 Prepare all salad ingredients, set aside. 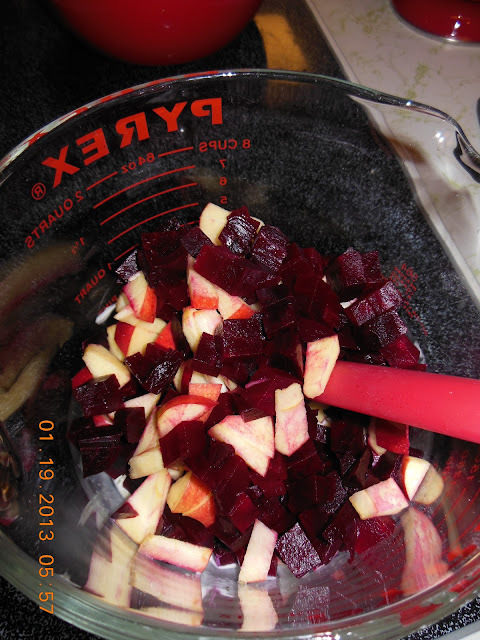 Prepare the dressing, stir in the beets, apples, pickle, and onion. Pile the salad onto a serving platter or individual serving plates, top with the Gorgonzola cheese. 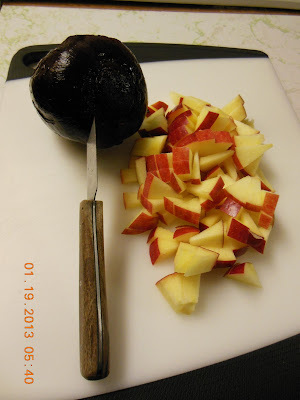 This really is a delicious salad, and it can be made year round. Beets freak me out. I've only tried them once when I was around 5 years old. Didn't like them then. My grandma used to call them purple pickles. I love beets! I know I would love this! Sounds delicious. I was not expecting, not would I have thought of adding the dill pickle, but sure why not.